Because of its geological characteristics the state of Sinaloa has a great potential of mineral resources, both metallic and non-metallic. The mining activity in the State has been mainly developed in thirteen mining regions; nevertheless, possibilities to develop mining jobs in other locations exist, different from those mentioned before. Mining within the State of Sinaloa has been an important support of the state’s economy. The variation in the prices over the last decade has been an important factor for the increase or decrease in the cost of mining activity. 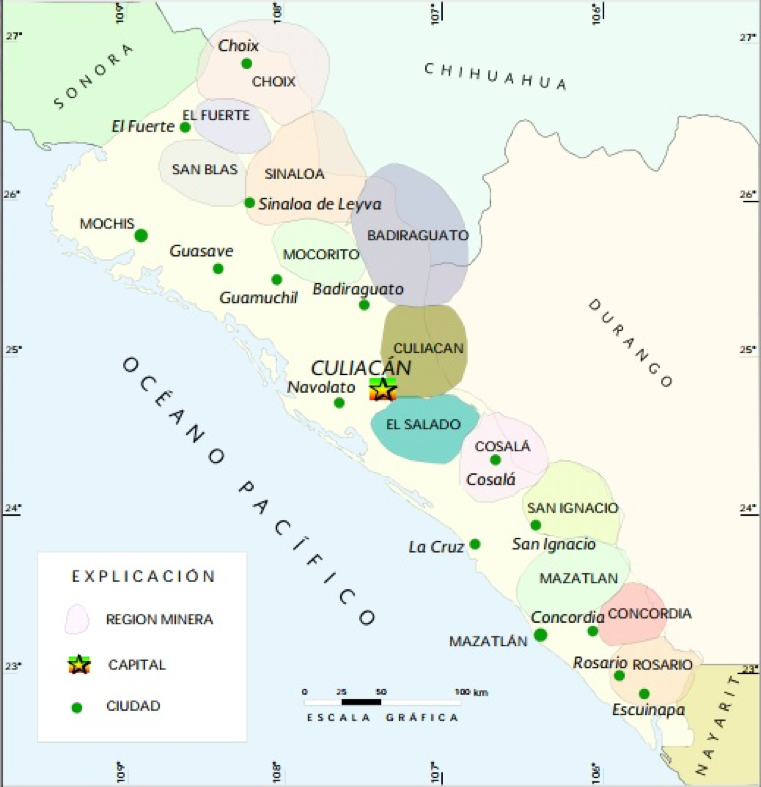 Currently, gold, silver, lead, zinc, copper and iron stand out for their production mines which are located in the districts of Choix, Cosalá, San Ignacio and Concordia. We are in 7th place nationally in Active Mining Projects.